Jessika Keller is a good girl: she obeys her father, does her best to impress Herr Fisher at the Bund Deutscher Madel meetings and is set to be a world champion ice skater. Her neighbour Clementine is not so submissive. Outspoken and radical, Clem is delectably dangerous and rebellious. And the regime has noticed. Shortlisted for the Peters Book of the Year. A shocking story of rebellion and revelation set in a contemporary Nazi England. Jessika Keller is a good girl: she obeys her father, does her best to impress Herr Fisher at the Bund Deutscher Madel meetings and is set to be a world champion ice skater. Her neighbour Clementine is not so submissive. Outspoken and radical, Clem is delectably dangerous and rebellious. And the regime has noticed. Jess cannot keep both her perfect life and her dearest friend. But which can she live without? 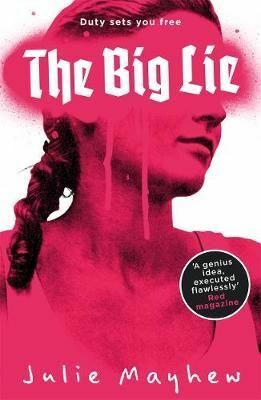 THE BIG LIE is a thought-provoking and beautifully told story that explores ideas of loyalty, sexuality and protest.